The Eiffel Tower, The Louvre, The Champs Elysees - when in The City of Lights, you'll want to see them all! Discover all the famous stops on the metro of Paris with this detailed 500-piece puzzle. 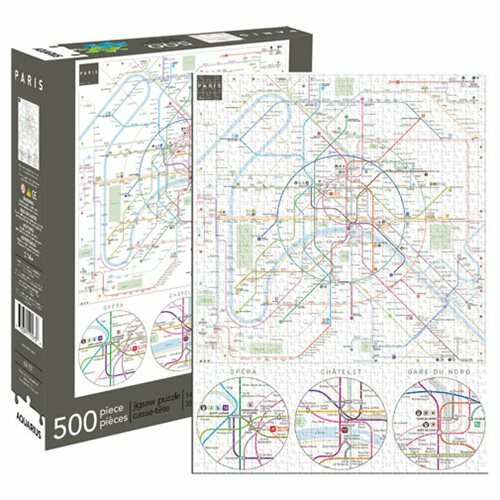 Hop aboard and let the adventure begin with the Paris Metro Map 500-Piece Puzzle! Ages 14 and up.